Jay Hendry was born and raised in Clewiston, Florida. He developed an interest in law at a young age, spending summers and school holidays accompanying his dad to the office. After graduating from Glades Day School in 2005, Jay attended the University of Florida, where he earned a B.A. in Criminology. 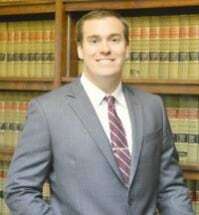 He spent the next year working at Hendry Law Group's Lake Placid Office before starting his formal legal education at the Florida State College of Law. At FSU, Jay's academic focus centered on criminal defense and business planning. Jay earned the Book Award in his business planning class, recognizing him as the top performer in that area. During law school, Jay studied at Oxford University, learning about the legal systems in England, France, and the European Union. After earning his J.D. and joining the Florida Bar, Jay joined his father at Hendry Law Group's Clewiston office. In his free time, Jay enjoys cooking, traveling with his wife, and University of Florida sports.